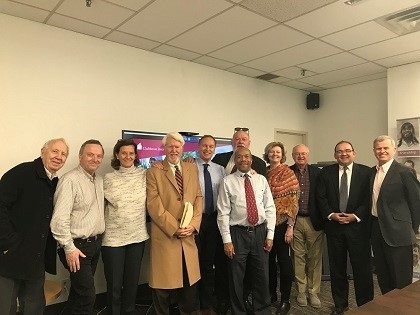 I am very sorry and heartbroken to report the passing of Mark Lanier, shown in the photo at our 2018 Board Meeting in Toronto Canada. A great champion of people living with mental illness and tireless advocate for the work of Clubhouse International, he will be sorely missed. Mark’s great passion, hard work, and leadership on our Board of Directors made our global community better. He was one of the great “fire souls” among us. He made the world a better place. Mark’s family has created a place to remember and celebrate his life: click here to access this special web page.